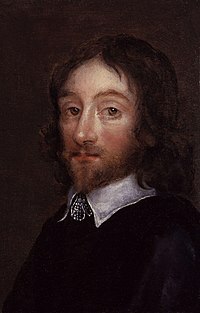 Sir Thomas Browne (/braʊn/; 19 Oktober 1605 – 19 Oktober 1682) merupakan seorang polimatik Inggris dan penulis berbagai buku mengenai bidang tertentu meliputi ilmu pengetahuan dan pengobatan, agama dan esoterik. Reid Barbour and Claire Preston (eds), Sir Thomas Browne: The World Proposed (Oxford, OUP, 2008). Breathnach, Caoimhghín S (January 2005). "Sir Thomas Browne (1605–1682)". Journal of the Royal Society of Medicine. 98 (1): 33–6. doi:10.1258/jrsm.98.1.33. PMC 1079241  . PMID 15632239. Mellick, Sam (June 2003). "Sir Thomas Browne: physician 1605–1682 and the Religio Medici". ANZ. 73 (6): 431–7. doi:10.1046/j.1445-2197.2003.t01-1-02646.x. PMID 12801344. Hughes, J T (May 2001). "The medical education of Sir Thomas Browne, a seventeenth-century student at Montpellier, Padua, and Leiden". Journal of Medical Biography. 9 (2): 70–6. PMID 11304631. Böttiger, L E (January 1995). "[From Thomas Browne to Dannie Abse. English physicians-writers over four centuries]". Lakartidningen. 92 (3): 176–80. PMID 7837855. Hookman, P (1995). "A comparison of the writings of Sir William Osler and his exemplar, Sir Thomas Browne". Bulletin of the New York Academy of Medicine. 72 (1): 136–50. PMC 2359421  . PMID 7581308. Dunn, P M (January 1994). "Sir Thomas Browne (1605–1682) and life before birth". Arch. Dis. Child. Fetal Neonatal Ed. 70 (1): F75–6. doi:10.1136/fn.70.1.F75. PMC 1060996  . PMID 8117135. Martens, P (1992). "The faiths of two doctors: Thomas Browne and William Osler". Perspect. Biol. Med. 36 (1): 120–8. PMID 1475152. White, H (1988). "An introduction to Thomas Browne (1605–1682) and his connections with Winchester College". Journal of Medical Biography. 6 (2): 120–2. PMID 11620012. Segall, H N (1985). "William Osler and Thomas Browne, a friendship of fifty-two years; Sir Thomas pervades Sir William's library". Korot. 8 (11–12): 150–65. PMID 11614038. Webster, A (1982). "Threefold cord of religion, science, and literature in the character of Sir Thomas Browne". BMJ, British medical journal (Clinical research ed.). 285 (6357): 1801–2. doi:10.1136/bmj.285.6357.1801. PMC 1500275  . PMID 6816374. Dirckx, J H (October 1982). "Sir Thomas Browne (1605–1682). A model for medical humanists". JAMA. 248 (15): 1845–7. doi:10.1001/jama.248.15.1845. PMID 6750160. Huntley, F L (July 1982). ""Well Sir Thomas? ": oration to commemorate the tercentenary of the death of Sir Thomas Browne". BMJ. 285 (6334): 43–7. doi:10.1136/bmj.285.6334.43. PMC 1499109  . PMID 6805807. Shaw, A B (July 1982). "Sir Thomas Browne: the man and the physician". BMJ. 285 (6334): 40–2. doi:10.1136/bmj.285.6334.40. PMC 1499136  . PMID 6805806. Schoeck, R J (1982). "Sir Thomas Browne and the Republic of Letters: Introduction". English language notes. 19 (4): 299–312. PMID 11616938. Geis, G; Bunn I (1981). "Sir Thomas Browne and witchcraft: a cautionary tale for contemporary law and psychiatry". International Journal of Law and Psychiatry. 4 (1–2): 1–11. doi:10.1016/0160-2527(81)90017-0. PMID 7035381. Shaw, A B (July 1978). "Vicary Lecture, 1977. Sir Thomas Browne: the man and the physician". Annals of the Royal College of Surgeons of England. 60 (4): 336–44. PMC 2492123  . PMID 352233. Martin, D C (May 1976). "Sir Thomas Browne 1605–1682". Investigative urology. 13 (6): 449. PMID 773893. Buxton, R W (December 1970). "Sir Thomas Browne and the Religio Medici". Surgery, gynaecology & obstetrics. 131 (6): 1164–70. PMID 4920856. Huston, K G (July 1970). "Sir Thomas Browne, Thomas le Gros, and the first edition of Pseudodoxia Epidemica, 1646". Journal of the history of medicine and allied sciences. 25 (3): 347–8. doi:10.1093/jhmas/XXV.3.347. PMID 4912887. Merton, S (1966). "Old and new physiology in Sir Thomas Browne: digestion and some other functions". Isis, an international review devoted to the history of science and its cultural influences. 57 (2): 249–59. doi:10.1086/350117. PMID 5335398. Keynes, G (December 1965). "Sir Thomas Browne". BMJ. 2 (5477): 1505–10. doi:10.1136/bmj.2.5477.1505. PMC 1847298  . PMID 5321828. Doyle, B R (October 1963). "Sir Thomas Browne, Physician And Humanist". McGill medical journal. 32: 79–83. PMID 14074523. Schenk, J M (April 1961). "PSYCHIATRIC ASPECTS OF SIR THOMAS BROWNE WITH A NEW EVALUATION OF HIS WORK". Medical history. 5 (2): 157–66. PMC 1034604  . PMID 13748180. Finch, J S (August 1956). "The lasting influence of Sir Thomas Browne". Transactions & studies of the College of Physicians of Philadelphia. 24 (2): 59–69. PMID 13360999. MacKinnon, M (1953). "An unpublished consultation letter of Sir Thomas Browne". Bulletin of the history of medicine. 27 (6): 503–11. PMID 13115796. Viets, H R (September 1953). "A fragment from Sir Thomas Browne". N. Engl. J. Med. 249 (11): 455. doi:10.1056/NEJM195309102491107. PMID 13087622. Wikimedia Commons memiliki media mengenai Thomas Browne. The Sir Thomas Browne Page at the University of Chicago, a comprehensive site with the complete works – all the works mentioned above, plus the minor works; Samuel Johnson's Life of Browne, Kenelm Digby's Observations on Religio Medici, and Alexander Ross's Medicus Medicatus; and background material, such as many of Browne's sources. Quotations by Sir Thomas Browne at Quotidiana.org. Spiritual and literary affinity between Julian of Norwich and Sir Thomas Browne. Prayer and Prophecy in Browne's life and writings. Halaman ini terakhir diubah pada 28 November 2018, pukul 11.34.